As a second generation native South Floridian, born and raised in Miami, I have seen a huge transformation in Miami, and in particular, Miami Beach. When we were young, I fondly remember riding on the long stretch of road that connected the main land to the beach; this was an indication that we were getting close to Great Grandmother’s.My Great Grandparents (Bessie & Frank) were direct descendants from Russia, a cute couple, each standing about 5′ tall. I don’t remember Frank too much as he died before Bessie, but my Great Grandma lived until the ripe ol’ age of 106. (She received two letters from the President of the time congratulating her on making it to a 100 years!) Back in that time, Collins Ave/Ocean Drive was lined with condos occupied by the senior community. You would find many of them just hanging out in rocking chairs on the front porches. That was until the developers stepped in and the gentrification process officially took off. Today, the landscape is one of youth and vibrancy. 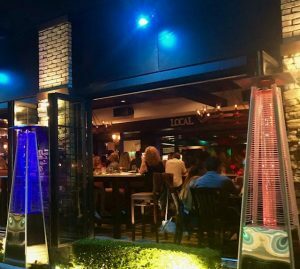 The hip, chic place with plenty of nightlife to keep you busy until the wee hours. 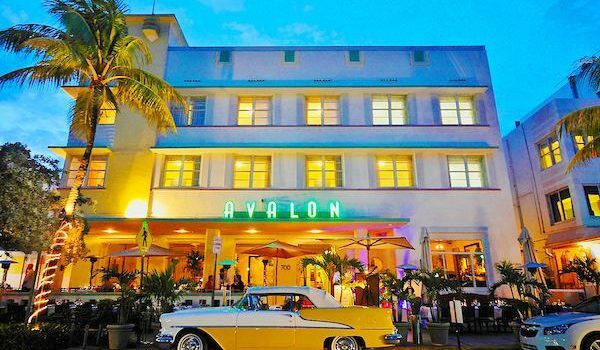 I received an email inviting me come taste A Fish Called Avalon, Located in the iconic Avalon Hotel on Ocean Drive, the setting offers an authentic, sophisticated South Beach experience. 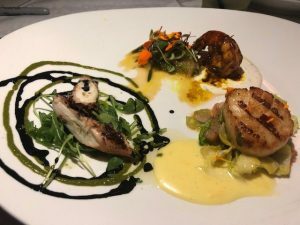 Many locals tend to have an impression that dining out in South Beach is for tourists, but I’m here to dispel that belief right here and now, at least when it comes to A Fish Called Avalon. Now in it’s 30th year, this marks quite a milestone in the restaurant world. Fun fact: this time-tested landmark had been the back drop for the 1983 film, Scarface. A Fish Called Avalon is a legend in South Beach. For nearly 30 years, they have been serving up the freshest seafood and delivering an exceptional dining experience to all who partake. The superb cuisine, relaxed Ocean Drive setting, and impeccable service have been delighting diners for nearly three decades. 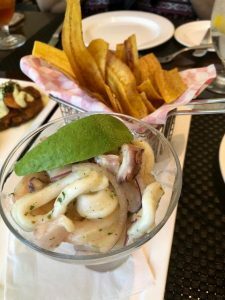 Garnering attention for its superb seafood cuisine, impeccable hospitality and intimate setting, the restaurant is a favorite with locals and visitors alike. 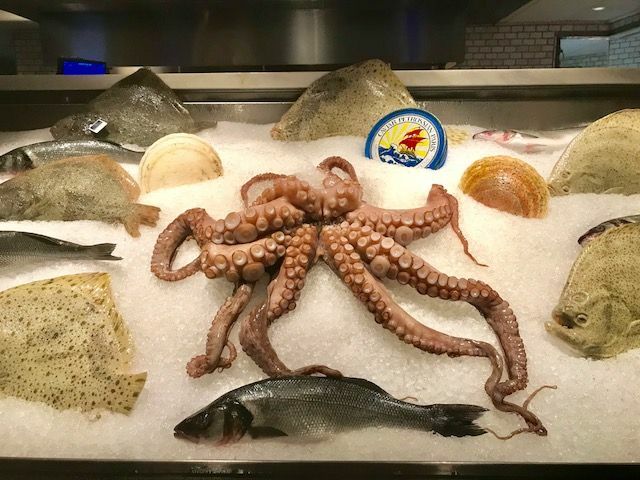 Chef Kal & A Fish Called Avalon offer a seafood-dominated menu with tropical influences using the very best local and seasonal ingredients delivered daily. Each item shines with a variety of unique presentation and flavors. Chef prepared a wonderful selection of tastings for my Product Development Manager, Annette and I to taste. We sat on the lovely terrace and it was a beautiful night. Annette and I enjoyed every morsel. Our taste buds were literally (well ok, figuratively) jumping up and down in joy! While I really liked everything that was placed in front of us, I thought the Bang Bang Shrimp were very unique here and were a definite stand out for me. The Macadamia Nut crusted snapper was another nice surprise for me. I am a huge fan of octopus when cooked right and Chef did an outstanding job with this as well. The presentation on the paella was top notch and packed full of fruits from the sea. Tempting appetizers like the Bang Bang Shrimp and Orzo Seafood Paella for a main course are perfect for a romantic date night to evoke Mediterranean memories. 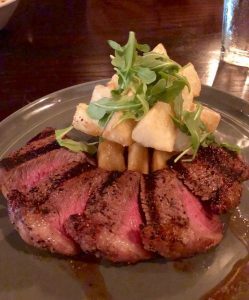 The menu also offers prime and dry-aged steaks, organic chicken, and vegetarian-friendly options each with a perfect complement from the extensive award-winning wine list. Delectable desserts end the evening on a sweet note. 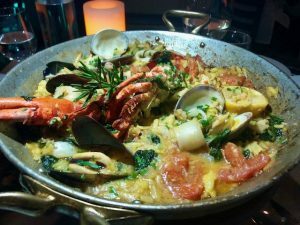 Top 10 Best Restaurants and Best Outdoor Dining Winner in South Florida by OpenTable reviewers. 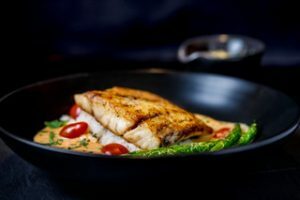 A Fish Called Avalon is perfect for romantic dinners, a family affair, or a night out on the town. I can’t wait to go back and hope that I have inspired you to want to check it out as well. Pro tip: Diners can park in the parking garage conveniently located at the corner of 7th and Collins. 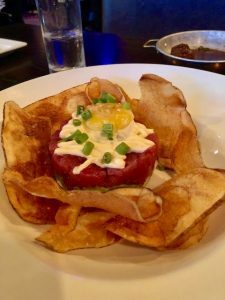 For those of you who have been around Boca Raton for the past 10 years, you might say that there has been quite the revolving door when it comes to the dining scene. Take the south west corner of Federal Highway & SE Mizner Blvd. in Downtown Boca for instance. How many of you remember Oceans 11, Saba Sushi, Ovenella and the short-lived The Little Chalet? Who remembers anything before? Let me know by commenting at the bottom of the post. 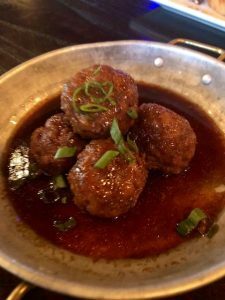 I took you back as far as I could recall, since first coming to the area and immersing myself into the food scene here in Boca. The Little Chalet was a beautiful special-occasion venue that is wildly popular in Brazil, but for whatever reason, just didn’t catch on here in the company’s first US location. It’s a shame; they spent a small fortune I’m sure creating a lovely romantic ambiance. But, beautiful decor alone doesn’t pay the bills so the owners decided early on to cut their loss and close and re-open with an entirely new hip & trendy concept. 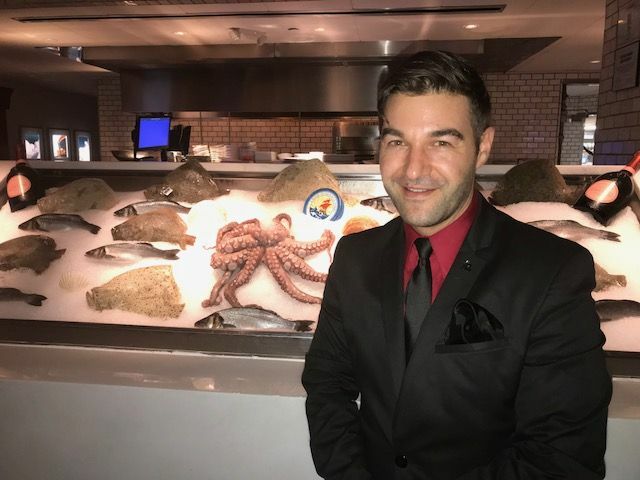 Created by Ricky Marcellini, owner of The Little Chalet who explained that after noting a change in the area’s demographics, they saw an opportunity to introduce South Floridians to a breezy, Brazilian nightlife-inspired restaurant and lounge for everyday dining. To facilitate a more communal and casual quality guest experience, he opened the space to an airier interior, expanding seating and adding a second bar to the outdoor patio. 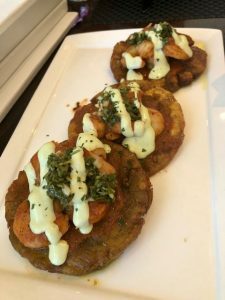 The hip and trendy The Locale Cocina & Bar presents guests with a Latin-inspired menu (South American influences including Brazil & Equador) and I would say Italian as well and is fast becoming the gathering spot in Downtown Boca for local friends and business associates. I’m sure it also helps to offer Happy Hour every day from 4 – 7pm and again from 9pm til closing. What’s more, is that guests can enjoy happy hour anywhere in the restaurant, not just the bar Sun – Thur (and at the bar only on Fri & Sat nights). There’s a reduced price food menu and all drinks are 1/2 off. I was invited by The Locale’s PR firm to attend a media dine. They hosted a lovely event which several of my blogger friends attended, however, I was unable to attend at the time due to a lingering cold. I was thrilled to be invited back to experience the restaurant once I was well. 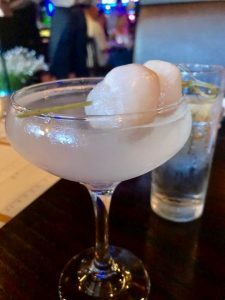 On this dine, we started out a couple of their popular cocktails; I chose the Lychee Martini and my husband chose the Caipirinha, Brazil’s National cocktail. Lychees are my newest exotic fruit obsession, by the way. 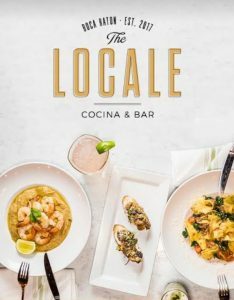 The Locale’s Chef Joshua Miranda and team take pride in creatively melding exotic flavors with familiar applications in order to deploy flavorful creations to be shared. Locale’s Manager Carlos took the liberty of sending out a variety of dishes for us to try: a trio of appetizers consisting of pork & beef meatballs, mushroom crostini (called tostada on the menu) and tuna tartare were presented first. They were all delicious, but the star for me was the tuna tartare. The su vide preparation of the egg yolk was something that a true die hard foodie like myself would appreciate. 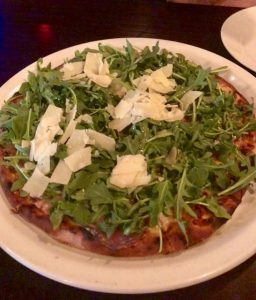 Carlos next sent out the Locale pizza which had fresh mozzarella, prosciutto, arugula and shaved Parmesan. Tip: took home leftovers and heated the pizza up and cracked a fresh egg on top to make a delicious breakfast pizza! The Picarina steak had a beautiful sear on it and was seasoned and cooked perfectly and served with yuca fries. 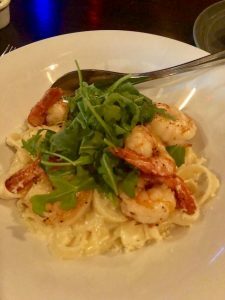 There was a generous portion of shrimp in the Fettucini Alfredo dish. Also made a nice shrimp scampi crostini the next day with these leftovers! 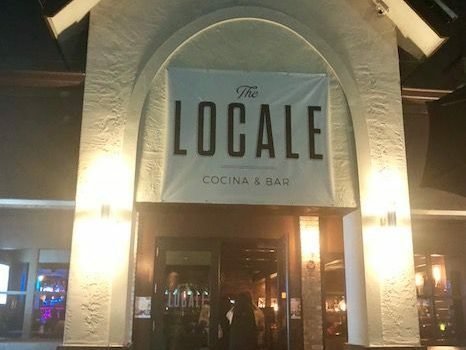 The Locale boasts Boca’s only Mixology Bar. (I see a Savor Our City Mixology Class taking place there in the future)– The Locale provides libation seekers with two bars and ample seating. Inside, chocolate bitters, candied ginger and acai liqueur are at the ready behind the bar, shaken up into one-of-a-kind drinks that are as eye-catching as they are delicious. Moscow Mule drinkers can choose from four iterations of the copper-mugged classic, including a daily rotating option, in addition to cocktails like the Brazilian Rum Runner Fig Old Fashioned, Lychee Martini and Jalapeño Aquafaba. 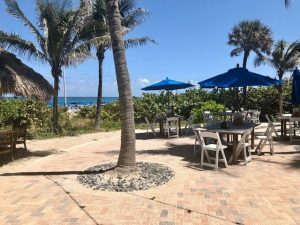 At the newly-expanded patio, The Locale’s outdoor bar is happy to shake up something on the more traditional side in addition to pouring South Florida’s coldest brew at an impressive 28°F from their special imported below-freezing brewery tap. With over 35 beers from 6 countries, the perfect sip is always within reach. Other signature dishes on the menu that look really interesting which I will have to go back for are: Beef Empanada with shredded short ribs and tomato jam; Croqueta fried dough filled with ham and cheese; and Shrimp Ajillo garlic shrimp served with white rice and broccoli bring a taste of South America to the table. Vegetarians and carnivores alike will swoon over The Locale’s meat-free Portobello Burger with tamarind glaze, manchego, crispy kale, aioli on a brioche bun; and flavorful signature entrées abound, with highlights including Short Rib over manchego polenta; Faroe Island Salmon with wild rice, asparagus, yogurt crema; and Bucatini with yellow chili sauce, onions and tomatoes and choice of sautéed filet or chicken. The Locale’s Happy Hour is served every day from 4-7p.m. and 9p.m.-close, where guests can enjoy even more brews, beats and bespoke cocktails from anywhere in the restaurant. 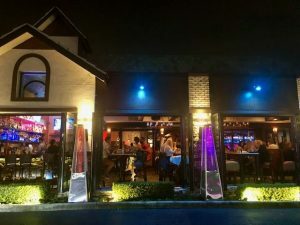 The Locale is located at 499 S Federal Hwy, Boca Raton, FL 33432, They are open for dinner Sun. – Thurs. 4 – 11p.m. ; Fri. & Sat. 4p.m. 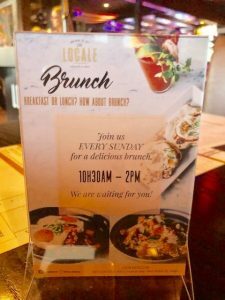 – 1 a.m. and brunch on Sundays fro 10:30am – 2pm. 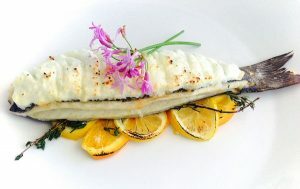 For more information or to make a reservation, call (561) 325-8000 or visit www.localeboca.com. 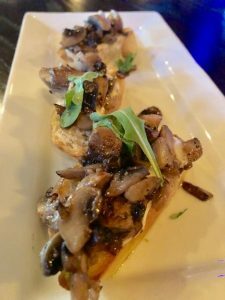 Recently, Savor Our City was invited to attend the opening of the new Cooper’s Hawk Winery & Bar in Pembroke Pines, FL, a fantastic place to visit for any occasion. What a unique concept. 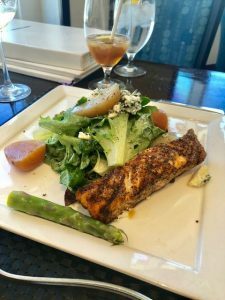 Not only are their signature wine pairings reason enough to visit, but their culinary selections, all made in their scratch kitchen, are delivered to perfection to compliment one’s wine pairing. Each recommendation is made by their highly trained Chef and house staff along with a professionally trained management team. Truly a unique culinary and wine tasting experience. The Cooper’s Hawk concept includes four different components: an upscale casual dining restaurant, full-service bar, private barrel-aging room, and Napa-style tasting room with a great adjoining retail store. All under one roof. Upon arrival, we were directed to the large Napa-tasting room which was quite impressive. For a set fee or with the wine membership they offer, you can sample their latest reserved and private label wine selections. The tasting room is a great way to learn about the wines and you actually feel like you are in a true winery tasting room. 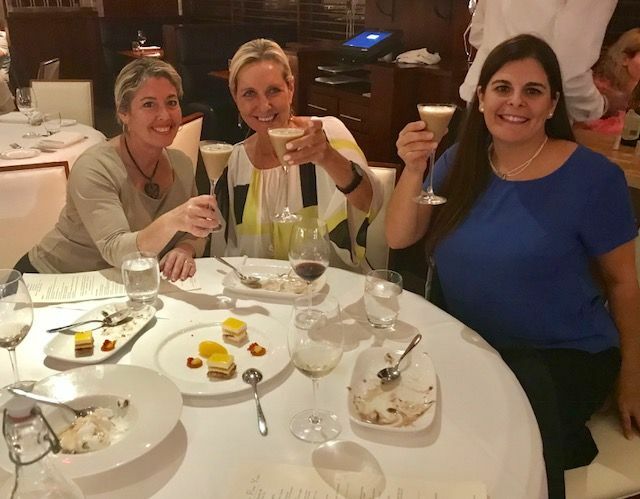 Then came the real fun part…sampling all of Cooper Hawk’s favorites on the menu which included 9 courses, each selected with wine pairings all recommended by their head Sommelier, Emily Wines…She is amazing! 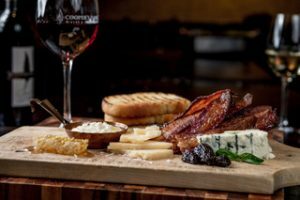 Whether you’re an avid wine enthusiast or a novice, Cooper Hawk’s has make it easy for their quests to select the perfect pairings; each food item is offered with a wine pairing suggestion labeled on the menu by bin number, as suggested by the winemaker. 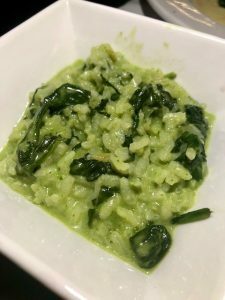 My personal culinary favorites were the Candied Bacon & Artisan Cheeses, delicious award-winning Asian Pork Belly Tostadas, Fresh Pan Roasted Barramundi with Thai Lemongrass Sauce and my favorite of all….Short Rib Risotto with White Truffle Oil…OMG!!! Just to die for… And then of course to top it all off, the Cooper Hawk’s Chocolate Cake. Their menu is extensive, so more reasons to go back time after time to experience it all. They also offer a Life Balance menu as well as a Gluten Free menu. 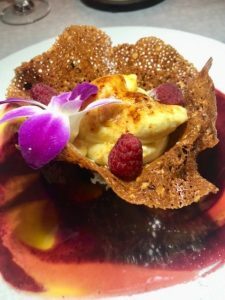 At the end of this memorable dining experience, along with making new friends over sensational food and wine pairings, I had left feeling VERY content and probably a few pounds heavier as well… It was so worth it. I highly recommend Cooper’s Hawk Restaurant & Bar Pembroke Pines any time and for any occasion. 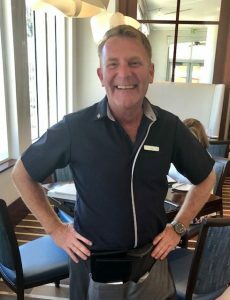 I am excited to share with you part one of a two-part series on my experience at the Marriott on Singer Island. 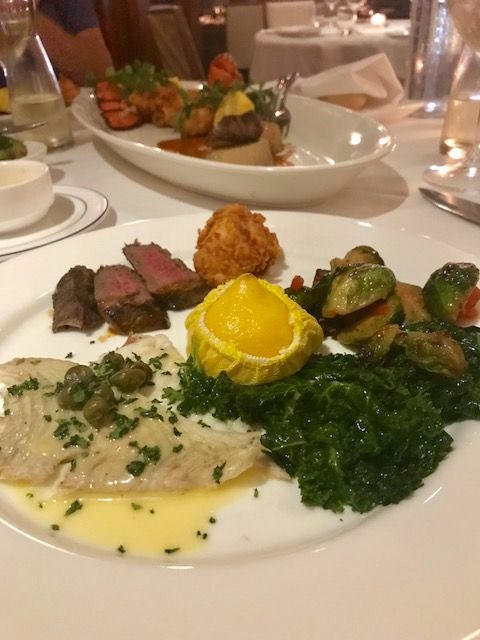 I had been invited by the property’s PR firm for quite some time now to come experience a meal at their signature restaurant, 3800 Ocean and I finally was able to make that happen. Let me tell you, it is well worth the 45-minute drive it took us from South East Boca. 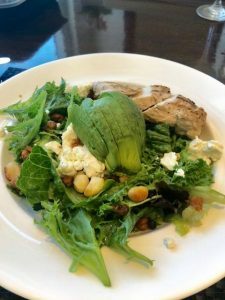 Speaking for myself and I’m guessing that many of you might fall into this category as well, when it comes to deciding on where to dine, hotel restaurants may not be on the forefront of your mind with the multitude of choices that abound. Well, I’m here to set the record straight and possibly get you to rethink this notion forever more. 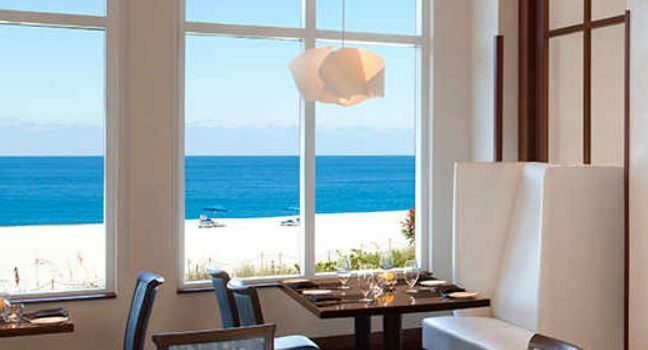 3800 Ocean at the Marriott Singer Island is as good as it gets and shouldn’t just be enjoyed by visiting guests, but by us local foodies as well. 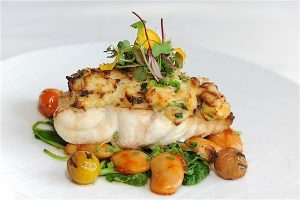 3800 Ocean: Ocean views share the spotlight with South Florida’s abundant harvest at the resort’s signature restaurant. The 3800 Ocean menu reflects a “collective kitchen” inspired by the cultural backgrounds of each of its chefs – from New England and Long Island to Mexico and Jamaica – who bring their own personal influences to a rich bounty of local seafood and produce. Complementing the menu is an extensive wine list. Elegant interiors and an expansive covered patio give guests a choice of dining environments. Open for breakfast, lunch and dinner. 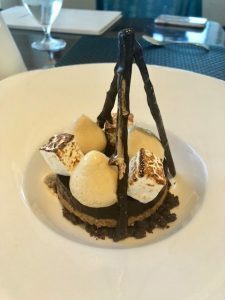 Kitchen Table: This one-of-a-kind experience, for groups of no more than five, takes diners with adventurous palates into the 3800 Ocean kitchen for a five-course menu created on the spot by the executive chef. The dinner typically spans three hours and is priced at $69 per person, with cocktail and wine pairings on request. Available Thursday through Saturday evenings; reservations required a minimum 24 hours in advance. 3800 Ocean Lounge: An inviting gathering spot for guests and locals, the lounge serves a casual lunch menu daily, exotic cocktails and bar fare every evening, and happy hour Monday through Friday. 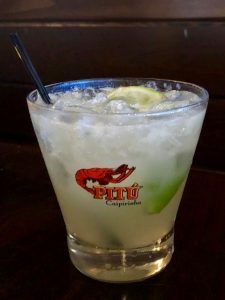 Reef Tiki Bar: A casual menu of Pacific Rim cuisine is offered on the beach, complemented by cocktails handmade with fresh juices. 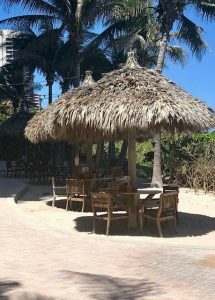 The resort’s signature Coconut Island Breeze is served here in a fresh cracked coconut and is a popular choice at the bar’s Bubbles on the Beach happy hour. Open for lunch and happy hour daily. 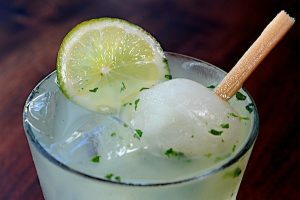 Lagoon Cantina: Fresh-made margaritas, Mexican specialties and grilled fare are the draw at this poolside, Caribbean-style cantina. Open for lunch to resort guests and spa members/guests only. Ocean Breeze Café: Starbucks drinks, pastries, salads and wraps are served to guests seeking a quick bite on the go. 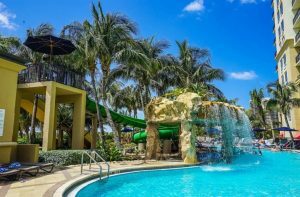 In case you’re not familiar with Singer Island, it’s a peninsula (barrier island) on the Atlantic coast of Palm Beach County, Florida, in the South Florida metropolitan area. Most of it is in the city of Riviera Beach, but the town of Palm Beach Shores occupies its southern tip. 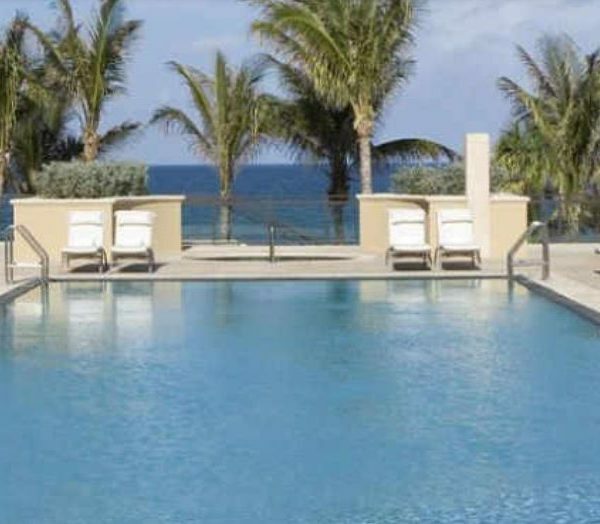 The Marriott Singer Island Beach Resort & Spa is Palm Beach County’s only all-suite beachfront hotel, with the Atlantic Ocean on one side and the Intracoastal Waterway on the other, it offers a wealth of opportunities for adventures on land and sea. Our server was Fran. Fran was very nice, attentive and funny to boot! This was our gorgeous view. Later this summer I will be coming back to stay overnight in order to fully immerse myself into all the amenities that this lovely beachfront property has to offer. Stay tuned for part two of this feature highlighting this hot staycation destination. 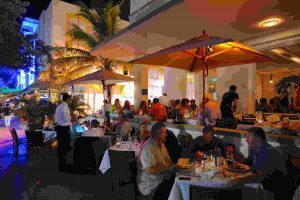 I had the great pleasure of dining at Chops Lobster Bar’s sister property Lobster Sea Grille in Miami Beach this past week. I came to Miami for the purpose of building & solidifying new partnerships with restaurants in the Miami market for our new culinary tours and experiences being presented to our cruise line and destination management partners. Exciting stuff going on, I tell ya! 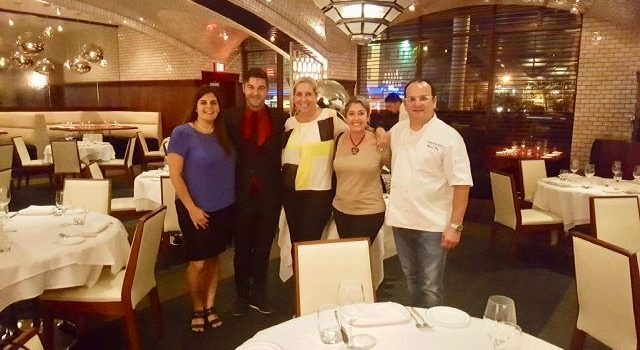 Anyway, I had met Dawn Bryan, So Florida Marketing Manager for the Buckhead Restaurant Group, a couple years ago when I was invited for a tasting at Chops Lobster Bar by Chef Sean (who, by the way, creates stunning masterpieces, both visually and in taste). On this occasion, I was joined by my product development manager, Annette, and Dawn. The place is gorgeous, inside and out. The restaurant occupies the former China Grill spot, for those who need a familiar landmark. Shortly after being shown to our table, Matt approached and asked if it would be ok if he selected the tastings for us for the evening. After confirming we didn’t have any food allergies or specific dislikes, he was given the go-ahead to surprise us. I always enjoy and prefer the tastings to be done this way, actually. To get the evening started, I began with a lovely glass of Cloudy Bay New Zealand Sauvignon Blanc which paired exceptionally well with the calamari, tuna tartare and quinoa, and jumbo lump crab cake. I’m on a Seefood diet: I see food, I eat it. How about you? 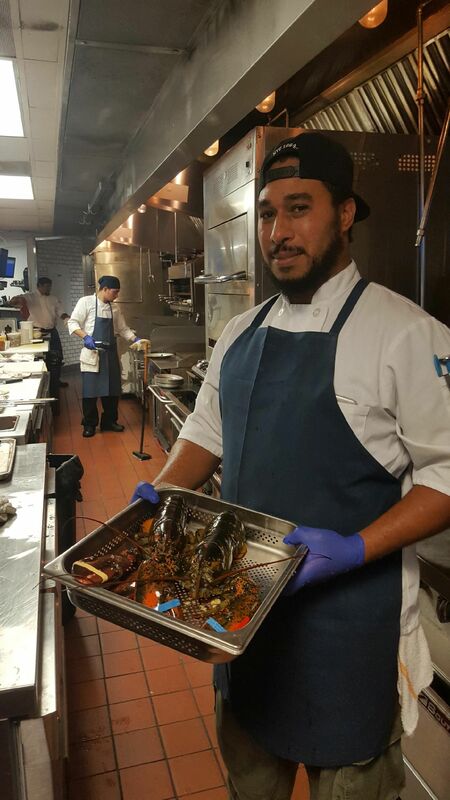 Nothing like fresh seafood and Lobster Sea Grille has the finest! Matthew Woods, Lobster Bar Sea Grille’s Dining Room Manager and wine and food pairing expert who took exceptional care of us. A wonderful variety was presented from the $49 3-Course Tasting Menu served every day through 2018 (5:30 ‘till 7PM for just $39). Today’s Selection was a Turbot fish from Spain – Wood Grilled steamed baby Tuscan kale Greek extra virgin olive oil lemon Santorini capers, Petite filet mignon and potato confit, Lobster morsels (not on the $49 menu, but a favorite item found at both Chops Lobster Bar and Lobster Sea Grille), Brussels sprouts.